Mr. McAlees: Hi, Jonathan here from Fortis Payments. Thank you guys for joining us on this Facebook Live. Thank you, ChiroSecure, for hosting us. Dr. Stu and ChiroSecure are always so gracious, and they really have a great product. If you guys haven’t checked them out, check them out. They are really involved in the industry. They believe in chiropractic. They put back into chiropractic. We love everything that they are doing, so please go ahead and check them out. I wanted to thank you guys for having me. We are Fortis Pay Chiropractic. We help chiropractors accept payments. Whether that be credit card or ACH payments, we help you take payments, and a lot of times we’re integrated with your EHR. But before we talk about that, I want to talk about why we’re here. Why is Fortis involved in chiropractic? So, we gotta go back to the ’60s when my dad was a young man and I wasn’t born yet. And so back in 1969, my dad, it was around Vietnam and instead of getting drafted, my dad enlisted in the Marine Corps. So, he was afraid of getting drafted and not knowing what he was going to do, so he enlisted in the Marine Corps to try and help. He’s a young guy. He’s an immigrant from Scotland and his family came over. They were living in Michigan, and just enlisted one, to serve the country where he was living. So, my dad enlists. He’s a little guy. He’s not very big. He’s about 125 pounds and he goes into the Marine Corps, but he’s good with computers. So they kind of put him in some computer stuff. He had been working, obviously, in the motor city on computers, but you still have to learn all the hand to hand combat. So he’s doing this. He’s not a big guy and they put him up against a really big guy, so my dad is 125, about 5’6, 5’7, and he’s up against the guy that’s about 6’2, 225 pounds. So, if you have every seen American Gladiator, they got that game with the pugil sticks, so it’s a stick and they’re kind of hand to hand combat, and on the end in American Gladiator, it’s this big cushion. In the Marine Corps, it’s a solid piece of wood. So, they’re doing this hand to hand combat, and the guy hits my dad, he flips upside down, lands directly on his head, and passes out cold. So, they take him right to the infirmary. He wakes up, and typically Marine Corps, it’s like, “All right, get back out there, Marine.” So he gets back out there and goes back into doing what he does, but he slowly starts having problems. And it starts in his knees. So, they stitch him back up, send him back out. And he slowly just continues to get worse, and worse, and worse. So, when my dad was in the Marine Corps, he entered in at about 125. He bulked up to about 165. Because they’re putting weight on you and making you bigger and stronger. He goes from 165 pounds, down to 85 pounds in a wheelchair, full quadriplegic. So no use of his hands, his feet. He can’t walk. Nothing. So he, for a while, puts up a fight. Eventually, gives in, goes and sees this chiropractor. The chiropractor takes an x-ray, looks at it, shows my dad, and his atlas was shoved into his spinal cord, which is basically what was causing his body to be paralyzed. And he looks at him, and says, “I can fix you.” And my dad’s kind of like, “Yeah, right. How can you fix me?” Well, unbeknownst to my dad, this chiropractor was Dr. Ian Grassam, who was really a leader in this profession, an amazing chiropractor, and so my dad got lucky that he was seeing one of the best ever. So Dr. Ian says to my dad, “Look. I can fix you.” My dad’s like, “Yeah, yeah, yeah right. Okay. Whatever.” Sure enough, Dr. Ian starts adjusting my dad. Within about a month, he had him riding a bike. I think a couple months later, he had him walking with a cane, and a couple months after that he was almost back to his full self. And so, my dad looked at Ian and said, “How could I ever repay you?” And Ian said, go become a chiropractor and help other people like me. So, my dad goes and becomes a chiropractor. He opens up his practice. He’s at a DE Seminar, which is, back in the day, where all the principle chiropractors went. There wasn’t 40 shows like there are today. There was DE and that was about it, back then. And so, my dad’s at DE. Luckily, a friend of his becomes Jimmy Greg, who was there, who is a great chiropractor up in Michigan, and he introduces my dad to my mom, who was there. My mom was there working in her father’s office, because her father was a chiropractor. So, my parents meet in this show. My grandfather on my mom’s side, his brother, so my great-uncle, was actually a founding member of Life University, Mike Nathanson, and then his brother, Sid Nathanson, is my grandfather. So my parents meet, they become chiropractors. My brother and I obviously came out of that, and now my brother is a chiropractor. He’s a third generation chiropractor. And so, we come from a long lineage. My mother has siblings that are chiropractors. My dad’s brother’s a chiropractor. Aunts, uncles, cousins. It’s kind of married into the whole family. So, I literally would not be here today if it wasn’t for chiropractic, so I think I’m the closest thing you can be to being a chiropractor without being one. Believe in the principle, I know first hand what it can do. I could go on for hours of stories growing up in my dad’s office of the way he helped patients and the healing hands that he had, and what chiropractic can really do. So, I’m a chiropractor at heart, but it just wasn’t meant for me. So I went down this path of finance and technology and that’s really how my brain works. But, of course, about six years ago, my brother gives me a call and says, “Hey, we really have an issue taking payments in our office. It’s a problem that we have. We see a thousand patients a week. We have a lot of payments that we’re trying to collect. He does a lot of care plans, a lot of recurring payments. Can you guys do something?” So we analyzed his situation and decided, you know what? He does have a problem and there was a systemic problem in this industry, of something that really isn’t built specifically for chiropractors that also has the advantage of a technology company that understands the payment industry, not only where it’s been over the past 20, 30 years, but also where it’s going. So, we built a gateway company, and we integrated that payment technology in to EHRs, like ChiroTouch, and Genesis, and Platinum, and Clinic Doctors and others as well. And so, we built this system and, really, we designed it to make taking payments in your office more efficient. So my goal, really, was how can we do things like taking one-time swipe, chip card payments, storing credit cards on file, compliantly, for your patient. Or storing bank accounts on file. Running those stored cards. Setting up recurring payments, care plan payments. What happens when those payment declines that we actually even reach out to the patients on your behalf with an email and an email link to collect that declined recurring payment and have them update that card going forward. And then, best of all, we said this needed to be integrated in to the EHR so that the payments can auto-post right back to your patient’s ledger. So we really wanted to make it easy. And our goal around doing that was what are all the little things that we can do to automate that payment process in your office? And our goal is not only to make it easy, we want to help take pressure off of your CAs and your front desk people. We want to take that pressure and that friction away from your patients having to make payments because ultimately it’s about the care they’re receiving, right? So, if Dr. Ian was focused on the front desk and the money, instead of adjusting my dad, I might not be here today. And I really want the same for you guys. I want you, as chiropractors and CAs, to be able to focus on the patient care. Right? Chiropractors got in this to help people. And so, we want to help you do that. We want to help you take care of patients, make sure you’re giving them the care that they need, and we, on the back end, will deal with the payments and automate those payments and make sure it’s getting into the patient ledger. This is what we do. We’ve done it for a long time now. We understand payments. Our CEO, Kevin, who helped build the system that you use today, has been in the payment industry for 20 years. He really understands payments. And so we built the system, we do everything. We’re continuing to do more things. Wait until you see what we’re coming out with in 2018. It’s really going to blow your guys’ mind. So, we appreciate everything you guys do and we really, really, really just want to help you collect payments. We want to help you collect more payments. I want you to get paid for the services you’re giving patients, while allowing you to focus on patient care and not whether you’re getting your payments at the front desk. So, if you have any questions, please check us out. There is a link right in the description. So check us out there. If you can’t click on that, email us at chiro, C-H-I-R-O, @Fortispayments.com. So, C-H-I-R-O- @Fortispayments.com. 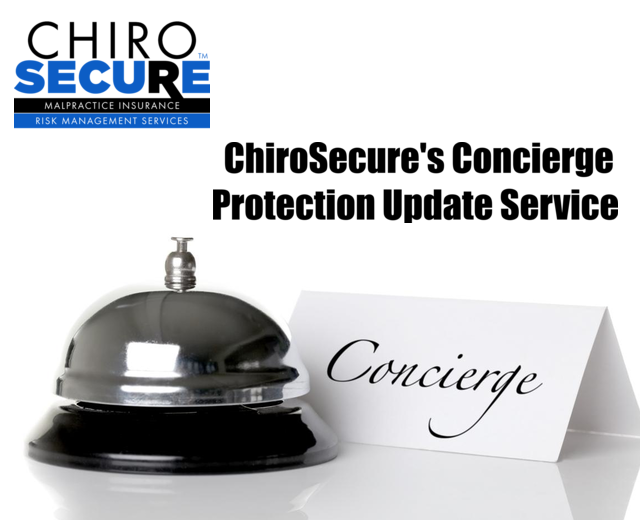 ChiroSecure, thank you so much. We appreciate you guys and everything you do for the industry. Speaker 2: This has been a ChiroSecure production.